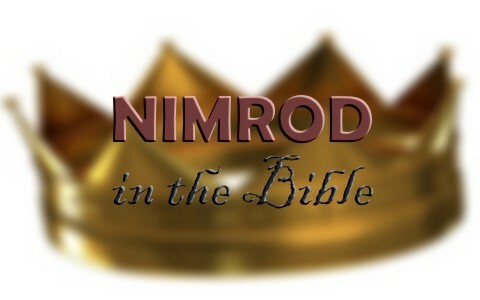 Who Was Nimrod In The Bible? Was He Good Or Evil? Who exactly was the Nimrod mentioned in the Old Testament? Was he good or was he evil? We know that Nimrod was an actual, historical figure as he shows up in the genealogies of the nation of Israel but also of mankind, going back to Adam (1 Chron 1:10). Genesis 10:8-9 says “Cush fathered Nimrod; he was the first on earth to be a mighty man” and “He was a mighty hunter before the Lord. Therefore it is said, “Like Nimrod a mighty hunter before the Lord” but there’s an interesting way the author put it; Nimrod was “a mighty hunter before the Lord.” The syntax of the verse suggests that Nimrod was flaunting his strength and power in the face of the Lord. It comes close to taunting God. Up to now, we know that Nimrod was a powerfully strong hunter, the first mighty man of the earth, and knew it. After it was written of Nimrod that He was a mighty hunter before the Lord we read of “The beginning of his kingdom was Babel, Erech, Accad, and Calneh, in the land of Shinar” (Gen 10:10). This was not “a” kingdom but Nimrod’s kingdom. This was a considerably large area and probably the largest nation on earth at the time. Nimrod’s kingdom was about half the size of present day Iraq and is in that same region. This kingdom lay along a very fertile region among three river tributaries. This would have provided adequate water for irrigation of crops. That would mean that Nimrod’s kingdom could have easily supported a large population. Nimrod was not only the first of the mighty men on earth, he may have been the world’s first king. Nimrod’s personal presence must have been imposing in size and strength and so few would have probably opposed him or thrown him off the throne. He might have even been worshiped voluntarily or by compulsion. We have already read that this kingdom was not the city-states of Babel, Erech, Accad or Calneh’s kingdom but it was Nimrod’s kingdom. For a time, Nimrod must have ruled with such considerable impact that over a thousand years later the Prophet Micah referred to it in one of his prophecies. When Micah referred to the Assyrian’s coming into the land of Judea and treading in their palaces (Micah 5:5) he writes “they shall shepherd the land of Assyria with the sword, and the land of Nimrod at its entrances.” That means a very large area of the Middle East by the way, but the point is that Nimrod’s kingdom must have left its mark in history. The question then becomes, was it beneficial? Was it for good or evil? A Good or Bad Kingdom? We have already read that this was Nimrod’s kingdom and it included the city-states of Babel, Erech, Accad, and Calneh but now notice “From that land he went into Assyria and built Nineveh, Rehoboth-Ir, Calah, and Resen between Nineveh and Calah; that is the great city. Egypt fathered Ludim, Anamim, Lehabim, Naphtuhim, Pathrusim, Casluhim (from whom the Philistines came), and Caphtorim” (Gen 10:11-14). Remember Nineveh as the city-state which was an arch-enemy of Israel and one in which Jonah refused at first to warn them of God’s judgment so remnants of Nimrod’s kingdom spread and became the Ninevites and Calah, called “the great city” but also notice “from whom the Philistines came.” We are seeing a pattern now. An expanding evil kingdom, out of which came great enemies of Israel so we may have answered the question, “Was Nimrod good or evil.” It would appear that he was not good at all in God’s eyes and in fact he was evil due to the lasting impression of those who came from this kingdom and from where Israel’s enemies would later arise. Nimrod must have been an iron-fisted ruler from all appearances. We can see an ever expanding kingdom and one that dominated for years. The remnant of Nimrod’s kingdom was Babel and it began to grow and grow as all the people were of one language and of one mind, but not to do good so “the Lord said, “Behold, they are one people, and they have all one language, and this is only the beginning of what they will do. And nothing that they propose to do will now be impossible for them” (Gen 11:6). God confused their languages and dispersed them among the earth. He had to because God saw that “nothing that they propose to do will now be impossible for them” and that would most certainly have included evil. Greetings in Jesus name! I am Rajappa from India and i have been reading your articles and have been following some of them. I am also a missionary and promoting the faith so many will know the Lord. It is incredible to have people like you to fulfil the commission of Jesus. Please have look at some of what i have been doing. Lets work to glorify God. Most excellent websites sir. Thank you for your comment and may God richly bless your labor of love for His glory. We always need to remember whose kingdom we are working to build, and why. If we are building personal kingdoms, we are not working on God’s Kingdom!